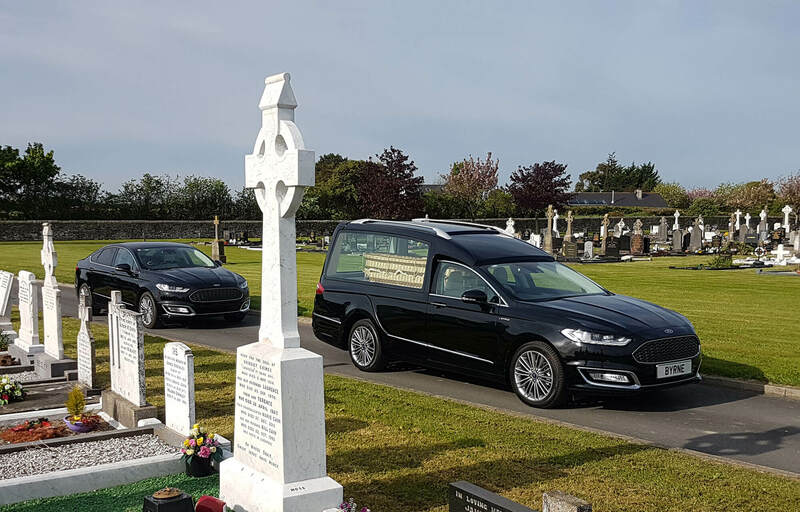 The Deacon V Hybrid, Ireland's first hybrid electric hearse has been launched. 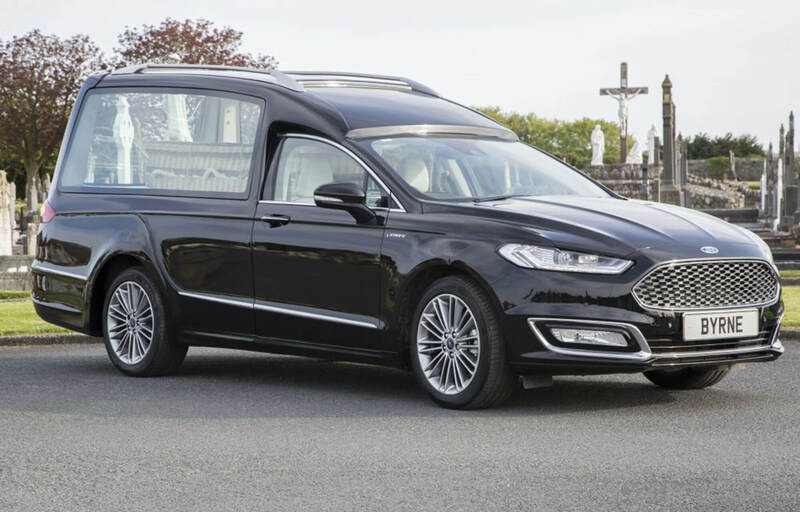 Based on the new Ford Mondeo HEV which arrived in Ireland earlier this year, the new Deacon V hybrid electric hearse has been built by Byrne Coach Builders of Dundalk. Paul O'Sullivan, Director of Sales for Ford Ireland, said: "The new Mondeo HEV is the ideal vehicle to serve as a hearse, with the sleek looks of the latest version of the much-loved Mondeo, it is an attractive vehicle and with its dual electric and petrol engine, it can be depended upon to provide a quiet and smooth ride in the sensitive context of a funeral." Peadar Byrne, MD of Byrne Coach Builders, said: "We are delighted to offer the Deacon V Hybrid hearse to the funeral directors of Ireland. It really helps to bring the traditional funeral hearse into the 21st century as electric and hybrid vehicles become more and more popular. The hybrid engine is ideally suited for use as a funeral vehicle as it is always quiet and efficient." Hybrid Electric Vehicles are the most popular of the ‘electric’ models available as they neatly bridge the gap between traditional internal combustion engines and electric motors without the ‘range anxiety’ that some motorists feel in relation to ‘full electric’ vehicles. 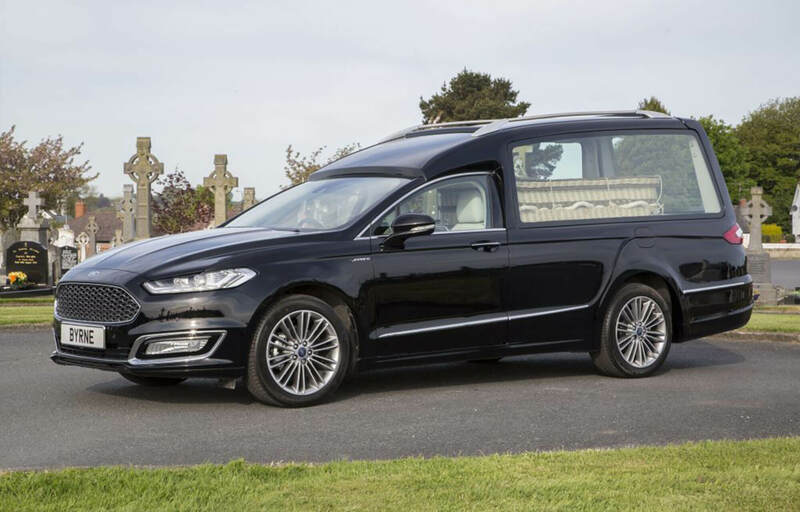 The Deacon V Hybrid hearse is based on the estate version of the latest Mondeo HEV model which features a 2.0 litre 187PS petrol engine tied to an electric motor. In effect, two electric motors are used in the hybrid system – one to support the petrol engine in driving the wheels and another to enable regenerative charging for the 1.4 kWh lithium-ion battery. Regenerative charging means that the Deacon V Hybrid, unlike ‘full electric’ vehicles, never has to be plugged in. The Deacon V Hybrid drives in electric mode at slow speeds or immediately upon start up and then the petrol engine kicks in once the speed increases. And the combination of a specially developed 2.0 litre Atkinson cycle petrol engine and electric drivetrain gives the Deacon V Hybrid excellent fuel efficiency with a fuel consumption rate of 4.2 L/100km. 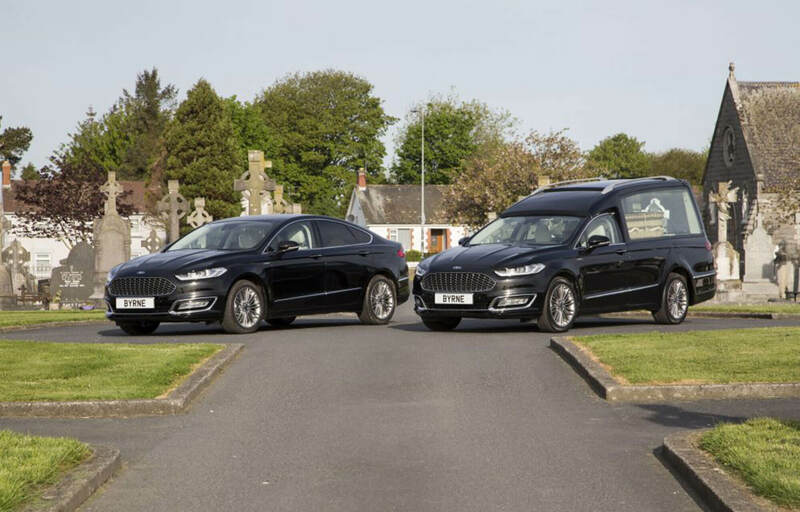 Mel Rogers, Byrne & Maguire Dealer Principle, said: "We are proud to have been supplying Fords for over 40 years to Byrne Coach Builders for hearse manufacture. 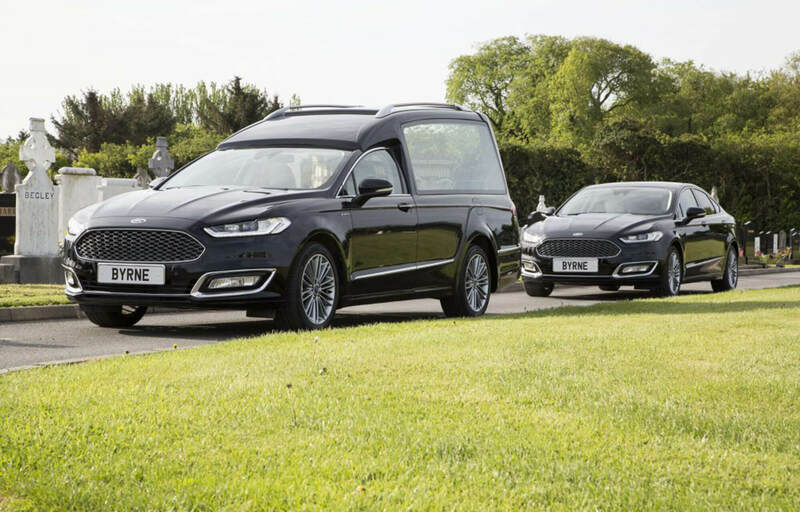 I have to say the new Vignale HEV Deacon Hearse is their finest work yet. Embracing Fords new hybrid technology shows how forward thinking Peadar is and we expect this vehicle to be a huge success for Byrne Coach Builders and Byrne & Maguire."